Appvn iOS app is available for download here. It has always been difficult for the iOS users to grab some premium apps in their iPhone or iPad. Of course you can easily, provided you don’t mind spend a couple of dollars for buying every app you find interesting. Android users benefit a lot when it comes to this matter. They have a lot of app stores like Aptoide, Vshare, Hipstore, etc from where they can download paid apps for free. But, for iOS users there are not many. However, Appvn for iPhone can be installed without jailbreak. You can download Appvn for iOS from here. What Can You Do Using Appvn iOS | Appstorevn For iOS? Technically speaking, iOS Appvn app is nothing but an app store. It is usually names as Appstorevn. 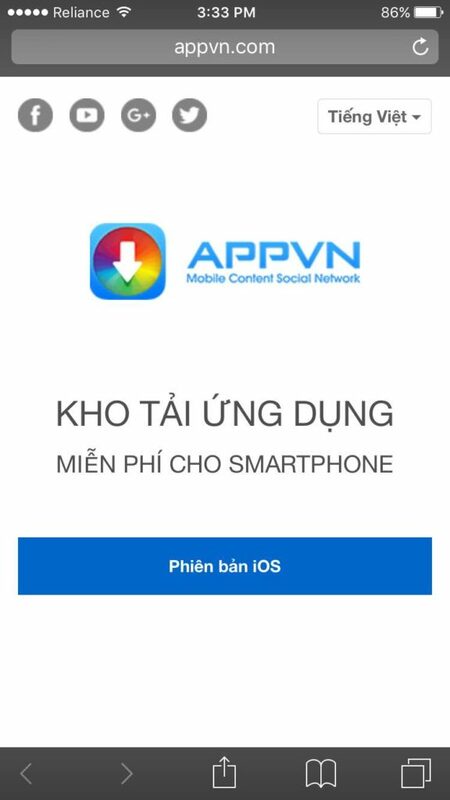 When you are looking for Appvn iOS download, you are actually downloading the Appstorevn for iOS. So this app store can be downloaded for free. Now, all the apps that are available in the Appstorevn or Appvn app, can be downloaded for free as well. Interesting point here is that, very often you’ll find apps in Appvn store which are paid apps in the official app store for iOS. There’s no need to worry about jailbreaking as well. Appvn app developers have made the appvn iOS download available for the non jailbreak as well as jailbreak version. The process for the same is very simple. Next I’m going to write down the whole process to download appvn iOS app and install it in your iPhone/iPad. It doesn’t matter if you iPhone/iPad has been jailbroken or not. You can proceed. In case you don’t understand the steps below, you can scroll down and check out the video. We have made a dedicated video to demonstrate the installation of Appvn in iPhone. Now you will be asked to download either “non jailbreak” or “jailbreak” version. Now, installing the Appvn ios app was not a big deal right. It was sweet and simple process. But now if you go back to the home screen and try to start the Appvn app, it will prompt “Untrusted Developer” message. Now, since we haven’t download Appvn app from the official app store, your iPhone is not trusting us. 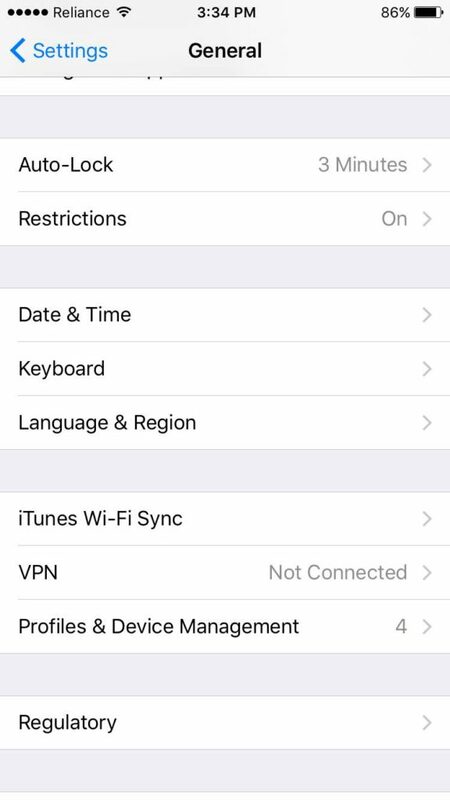 We need to inform the iPhone that the app we have installed in not malicious and can be used. So follow are the steps to do that. Under General go to “Profile & Device Management”. Now open the developer of Appvn app. You will find an option “trust”. Tap on that and confirm that you trust this developer. So now we’re done with the trust issues of our iPhone. Go back to the Home screen and find the Appvn icon. Tap on it and start the app. I’m sure it will work this time. Now that we have enter the apps world of Appvn, you can skim through all the apps in the Appstorevn powered by Appvn. If you are concerned about how to install apps using Appvn, then don’t worry. It’s even simple. Just type any app, for instance “Minecraft” in the search box. I know that Minecraft is a very popular game and everyone wants to download Minecraft for iOS free. That is why I took this example. So once you’ve types the name of game in the search box, tab on “Go”. You will get the results, among which the first one will be our official Minecraft iOS game. Just tap on that app and you shall see the download button in the next screen. Once you hit the download button, the Minecraft game for iOS will start to download. Wait for the app to download and install. You can download and install more such apps using the appvn iOS app. This means that you can download all the apps from appvn for free on your iPhone/iPad without jailbreak. Enjoy!